There are only a few days left before Christmas Day and everyone is looking for a bargain as well as the perfect gift for the kids in their life. 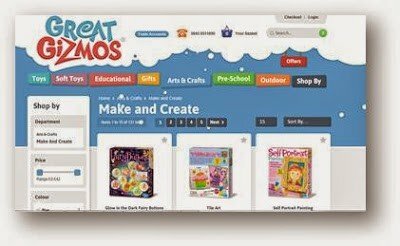 Great Gizmos is here to help you with all your shopping needs for the festive period with their brand new website www.greatgizmos.co.uk . Disclosure Policy: I have received no financial compensation for sharing this information, I just wanted to share a great discount code with you.